There are so many forms of dance, everybody can find one that piques their interest. From classic styles like ballroom and ballet, to contemporary forms such as street dance, there really is something for everyone. With the continued popularity of shows such as ‘Strictly Come Dancing’ and ‘Dance Dance Dance’, this is a trend that schools with a dance studio and ballrooms can make the most of. All dancers need room to practice and perfect their routines. Preferably in a purpose-built dance studio with proper flooring, mirrors and bars. However, it can be difficult to find a dedicated dance studio that isn’t owned by a dance school, and even if there is one locally it may only be focused on a specific dance style, or available at inconvenient times. This is where local schools can provide a great alternative solution. The key aspect that most dancers need from a dance studio is space. Limited space can restrict dancers, so rehearsal and training is not as productive. A dance studio in a school is usually built to accommodate whole classes of children, so can easily provide space for a dance group or class. Schools can also offer options for larger dance troupes, dance show rehearsals, musicals or community dance events, where larger halls with wooden flooring can provide the perfect space needed for even the largest groups. All performers need the right environment to work in, whatever style of dance they enjoy. Every dance studio should feature full length mirrors, so dancers can see if their placements are correct, and sprung floors to reduce the risk of injury. Ballet troupes and classes require barres and mirrors, and all dancers will welcome proper changing facilities, preferably with showers. Schools that have a focus on the performing arts usually have purpose built rooms or studios for various dance styles, plus sports changing facilities, so hirers are more likely to find everything they need on-site. South Hampstead High School has a strong arts tradition, echoed in the excellent facilities offered to its girls. Out of school hours and term-time, the school offers for hire its well-appointed dance studio for classes, and its full sized sports hall for major dance events. Interested in hiring a dance studio in London or elsewhere? Contact us for details of your requirements – we’re here to help. Even the most modest dance club will usually perform an end of term show for proud parents, family and friends, and will always be on the lookout for a cost-effective venue. Schools with facilities for the performing arts can easily offer stages with lighting and sound systems ready to shine a spotlight on the latest street dance moves or an elegant leap! School venues also have plenty of dressing rooms backstage, and good access for scenery and costumes. London dance studios are often tucked away down side streets with poor access and almost impossible parking. One of the great advantages of hiring a school dance studio or rehearsal space is that schools are generally much easier to find, close to main roads and public transport links, and often offer private parking out of school hours. 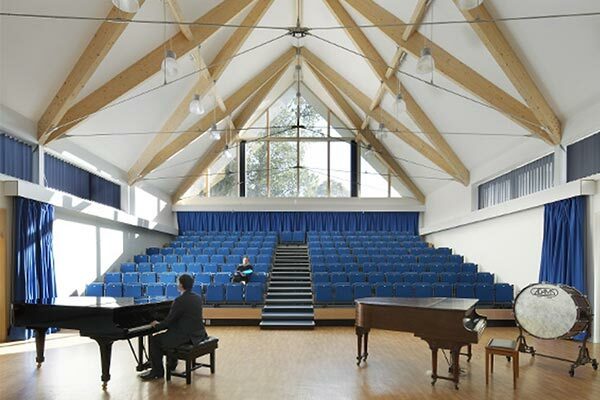 Harrow School in North London offers an exceptional range of performance spaces, including the Ryan Theatre, which can be hired for dance shows and rehearsals alike. For a dance summer school or week-long event, it makes both practical and logistical sense to hold the event outside of London. 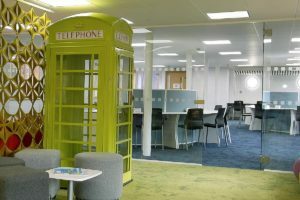 Students can enjoy a more relaxing environment, and concentrate more on their moves and less on the hassle of travel and access. Tonbridge School in Kent combines modern facilities with inspiring historic surroundings. 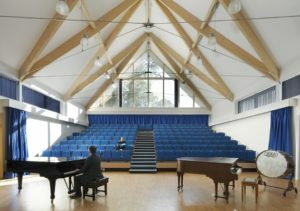 The school’s sports centre features a multi-purpose studio with maple timber semi-sprung floor, and full air conditioning. Professional dancers will enjoy the easy access to Olympic-level amenities including the gym, sauna, ice baths in the treatment room – and the Sports Bar! The elegant E M Forster theatre is ideal for end of week performances, seating up to 368 people and with fully staffed licensed bar, ushers and technicians and a box office service available on request. Specific Requirements for Your Dance Studio Hire?  Call us here at Beautiful Schools, and we’ll find you the ideal dance studio for hire for your cha-cha, salsa, jive, groove, zumba or bodypop!